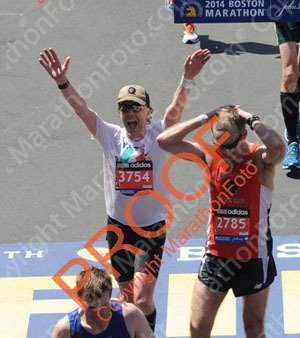 2014 Boston Marathon….by Ronan Boland….Ever since I ran my first Marathon two and a half years ago (well actually my second Marathon – but that’s a story for another day) the lore of Boston had been etched on my consciousness. 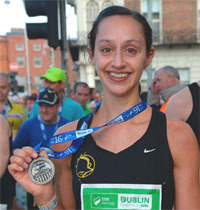 I debuted in Berlin and since then I’ve run Dublin every year, I’ve been back in Berlin and I also had the privilege of running London in Olympic year. Berlin, London and Dublin are all great international events- each with its own individual charms and attractions and each of them is worth its place on any marathon “shortlist” of cities which a marathon junkie should visit to get his or her “fix”. But Boston has to be the grand-daddy of them all. It’s a bit like Wimbledon, The US Masters and the All Ireland Final rolled into one. Almost 120 years old, a national (and international) institution. Mere mortals like ourselves get to lace up our shoes and race alongside world elites – and just to add spice we have to run a pretty rigorous qualifying time in the preceding year just to get there. Getting a “BQ” (Boston qualifying time) is in itself a badge of honour familiar to most American marathon runners. 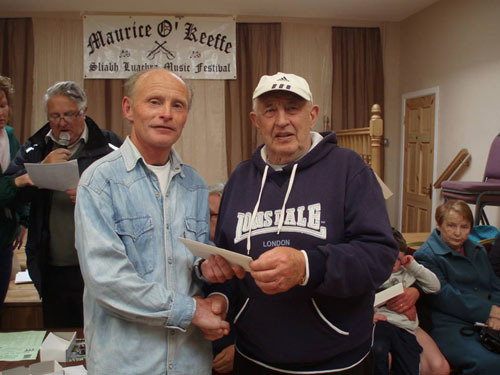 Colin O Herlihy & Martin Leahy (2 fellow club members known to most of you) had regaled me during training runs with stories about their personal experiences of “doing Boston”- something that served to whet the appetite even more. Colin & Martin had enjoyed Boston so much last time that they were returning for a second bite. 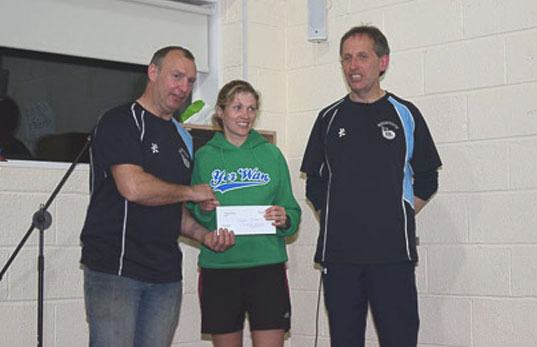 Also travelling were Lisa (my better half) along with fellow club members Vivian Foley, Alan O Brien and Keith Sexton. 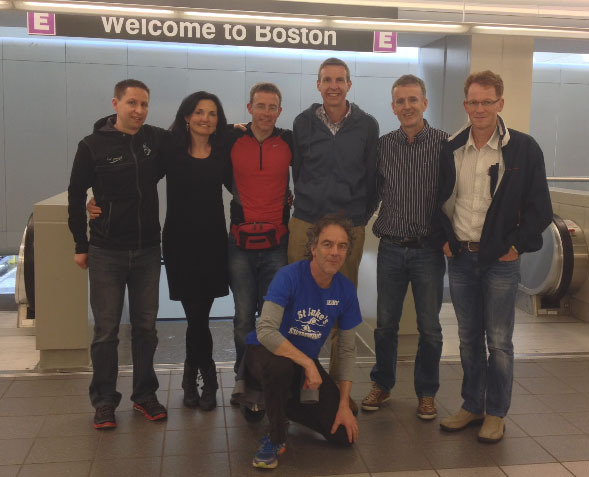 Having arrived on a direct flight from Shannon on Saturday we made our way to the Marathon Expo on Boylston Street on Sunday. 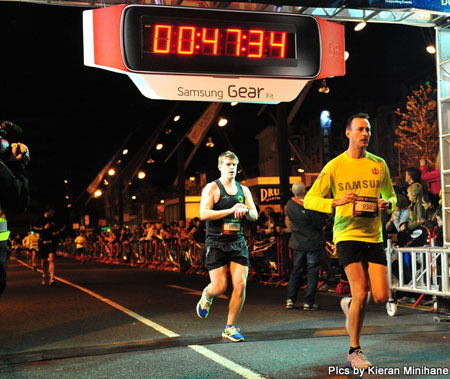 The Expo was only a few hundred metres from the finishing line – a big plus compared to London and Berlin where the trek to the Expo to collect your race number can be a tiring and unwelcome distraction. It also allowed runners to savour the atmosphere around the finish area and to take a few pictures- as well as stopping for a prayer or a moment’s reflection at the discrete but moving memorial to those killed and injured in the senseless bombing at last year’s event. The scale of the event was immediately apparent with a strong (though discrete) security presence as well as many TV trucks already in position 24 hours in advance of the actual race. The “Boston Strong” message was much in evidence. Boston is a proud, welcoming and friendly city and its natives were obviously determined to show that they would not be cowed by acts of terrorism. On numerous occasions strangers stopped me in the street to thank us for coming – I assured them that we were the ones who felt grateful and privileged to be there. 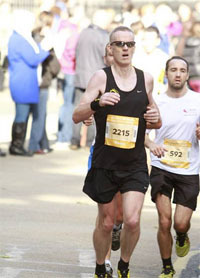 The Marathon Expo itself was well organised and efficient. 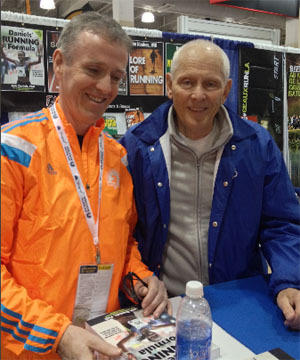 I had a personal thrill when I got to meet Jack Daniels who was signing copies of the third edition of his famed book “Daniels Running Formula”. He is one of the most respected coaches in the USA and his book has transformed my approach to training over the last year. I have been promoting his book to anyone at Eagle AC who doesn’t get too bored listening to me! 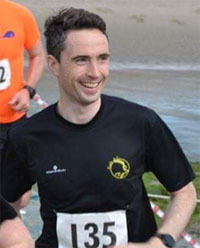 Our Men’s Captain John O Callaghan is a more recent convert and Daniels’ approach to training is suitable for any club runner – fast or slow. To meet him was quite a thrill and he was an absolute gentleman. A great start to the day and a good omen of what was to come. 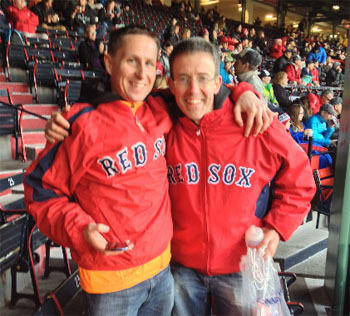 Alan O Brien had organised tickets to see Boston Red Sox play at the famous Fenway Park Stadium on Sunday night. There was a moving memorial to the bomb victims before the first pitch was thrown. What I knew about baseball you could have written on the back of a postage stamp but thankfully I had Professor Colin O ‘Herlihy seated beside me who turned out to be quite the connoisseur. He was able to explain what was going on to the uninitiated. The whole Fenway Experience turned out to be a very pleasant surprise for Lisa and myself – my only regret was that we couldn’t stay til the end because of our early start next day on Marathon Monday. We were back in our hotel room however in time to see the Sox pull a very unlikely win over the Baltimore Orioles out of the bag – snatching victory from the jaws of defeat. Marathon morning started at 5am – not as bad as it sounds as long as you keep your body clock on Irish time after you get there as it still feels like 10 in the morning. Because Boston is a point-to-point race starting over 20 miles away in Hopkinton most of the runners (ourselves included) had to be bussed out from Boston Common. Being in the first wave of runners Colin, Alan, Vivian and I had to be on Boston Common at 6:30 am for our bus shuttle. We were moved off with military precision in a huge fleet of yellow school busses leaving in convoy in batches. We felt like major league VIPs seeing all the traffic stopped at Highway intersections by cops and state troopers to give our fleet of yellow busses a clear run. The athletes’ village in Hopkinton was well organised with plenty of toilets and freely available coffee, snacks and nutritional products. Thankfully the sun was shining because it was cold and we had 2 hours to kill. No bag drop was allowed this year for security reasons so basically you had to throw away any clothing you were wearing to keep warm. 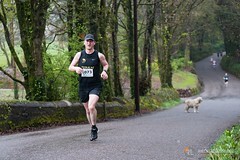 Had it been wet and any bit colder it could have been pretty unpleasant. We killed time having the banter and chatting with other runners from all over the USA and further afield who were basking in the early morning sun wrapped in the space blankets offered to them and in their throw-away old t shirts and sweat pants. A great buzz and not too many nerves to be seen. 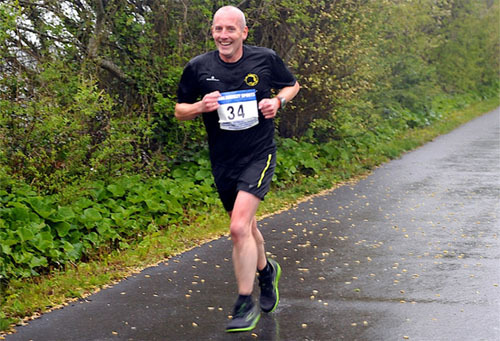 While Martin Leahy was planning a serious crack at breaking 3 hours on the day, Colin, Alan, Vivian and myself planned to run the marathon like a long training run- doing as much of the course together as possible. 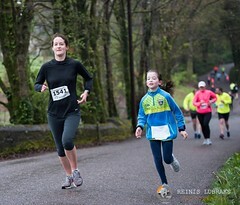 The plan then was to run at about 7:30 pace – or 45-60 seconds slower per mile than if we were chasing a personal best. 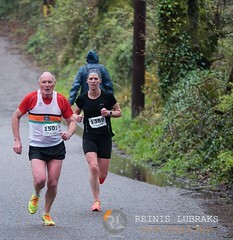 We had done a fair bit of hill training in our preparatory long runs, Colin having warned us since Christmas about how challenging the hills are in the second half of the course. And so to the start line! We stood for a rousing sung rendition of “The Star Spangled Banner” as we were guided into our pens (allocated as were our race numbers according to our qualifying times to get into Boston). 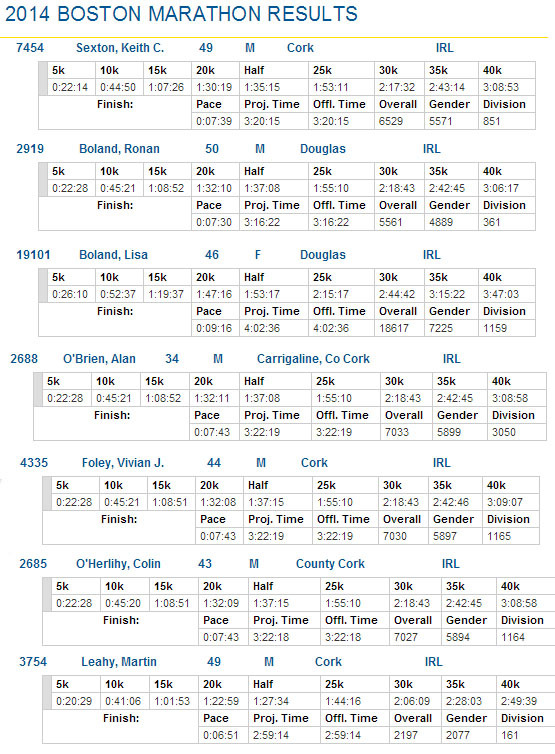 We all had qualifying times between 2:52 and 2:59 so the four of us had no difficulty easing our way into the 5th pen (1000 runners per pen – meaning that 5000 of the 36000 strong field had run 2:59 or faster in the last 12 months, a seriously high quality field as one might expect given the need for pre-qualifying). 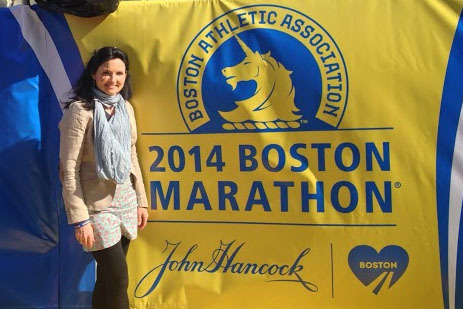 It is thought likely also than many seasoned fast Boston Marathoners felt an especially strong urge to take part this year because of last year’s events. In no time we were off. It was narrow and a little crowded and we are not especially used to having 5000 runners in front of us at the start of a race but we didn’t care one iota. Right from the start line in the pretty village of Hopkinton the crowds were out in their many thousands. The first 3 miles drops the height equivalent of a 13 storey building and the next few miles are really the equivalent of a gradually descending roller coaster. Within the first couple of miles we had one group of guys sitting on their rooftop with a big sign offering us “FREE FOOD, CIGARETTES AND BEER”. Further on other householders had a veritable shop at the side of the road in a well signposted hut with everything from Band-Aids, to sun cream (big demand for this – it was already a lot warmer at 10am than we had been led to expect) to Vaseline, bananas, gels, yoghurts and assorted fruits “ALL FREE”. More beer on offer from a gang of bikers sitting on their Harleys further on…. The first half of the race is quick. There is a significant net downhill and if one were racing Boston there would be a delicate balance to be struck between banking a bit of time before the second 13.1 miles (which is hilly and challenging) and on the other hand potentially getting carried away and blowing your race. We ran through a series of towns in each of which tens of thousands of cheering spectators were gathered- people holding garden parties, kids holding trays of oranges and drinks from their own homes, flags, signs, banners and always always cheering. The first half felt like one long high five. Every time one of us raised our hands to clap the crowd we were greeted by hundreds of people cheering back at us – the crowds looking for any opportunity to engage on some level with an individual runner. I thought the atmosphere in Berlin and London (and Dublin too) was special but I have never experienced anything like this. The size of the crowds the whole way along the route and their eagerness to actively participate in the event is something I doubt I will ever forget. And then there were the Wellesley girls. Colin had warned me about them. Wellesley is a co-ed third level school based at around the half-way point in the Marathon. You hear them long before you see them. They line the road (in a tradition that goes back over a century) – a cacophony of screaming girls bearing large banners asking you to kiss them and giving you reasons why you should “pick me”! How they keep up that level of noise for 2 or 3 hours beats me! For five minutes the lads and myself got a flavour what it must have felt like to be one of the Fab Four at the height of Beatlemania- great fun for five minutes but scary in its own way! The last 4 miles was net downhill all the way into Boston with the Hancock Tower (which is close to the finish) coming closer and closer into view. The crowds just got bigger and bigger the closer to town we got. I was able to pick the pace up a little (down to about 7 minute per mile pace) and still to interact with the huge crowd. Every viewpoint seemed to be taken on both sides of the road with people on rooftops, hanging out windows and on bridge overpasses- as well as being 5 or 6 deep behind the barriers which were erected on both sides of the road for the entire last 3 miles. One final left turn at the famous Firehouse on Boylston and then a 600 metre glory trail slightly downhill and dead straight all the way down Boylston Street past the bleachers and the viewing stands to the finish line. Final time was 3:16 – average mile 7:30 so pretty much exactly as planned. This was by accident rather than design – today was never about pace or finishing time. The others arrived very soon afterwards, as did Keith Sexton who had started the race from further back but finished at around the same time as us. While it is a net downhill course it is not a quick one. The early downhills are tough on the quads and are interspersed with a number of short but noticeable drags. 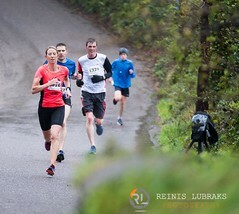 The Newton hills have broken the resolve of many a runner this year and every other year since this great race was first run. Boston’s springtime weather is notoriously unpredictable and last Monday’s unexpected heat made this year no exception. We had a few well-earned beers later on and compared notes. By common consensus it was a very special experience and we all felt privileged to have been part of it. 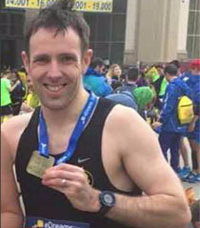 Local reports suggested the crowds lining the route were twice as large as normal because of the year that’s in it – despite the fact that Boston claims already to be the best supported marathon in the world. I would have no hesitation in recommending Boston as “must-run-at-least-once-in-your-life” Marathon. I am very glad that we decided to run it at a relatively comfortable pace. 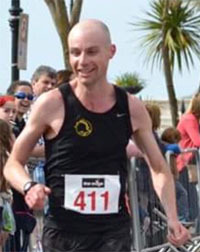 Between transatlantic flights, time zones, change of diet, upheaval on the day of the race and warm weather (not to mention a course which is not fast despite being net downhill) I would estimate it is probably at least 3-4 minutes (and maybe more) slower than, say, Dublin or London run in optimum conditions. 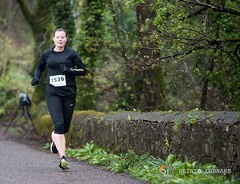 I have no doubt I would not have been capable of running a PB on the day. Do it as a “Tourist Marathon”, enjoy every minute of it and use the effort as base building for your next PB assault on home turf! 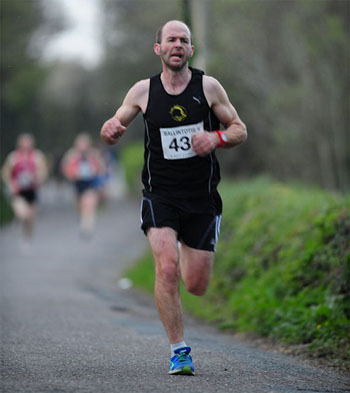 Tues 22nd Apr…There were no shortage of races on over the weekend with Eagle AC members taking part in most of them. 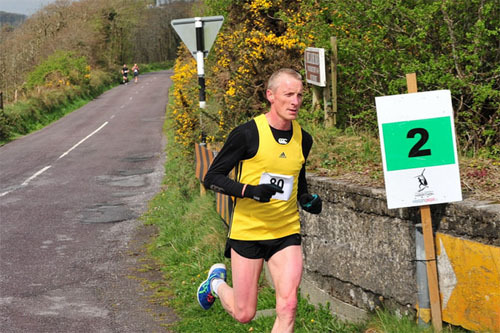 The first evening race of the summer was the Ballintotis 4 mile near Castlemartyr in East Cork on Wed 16th of Apr 2014. 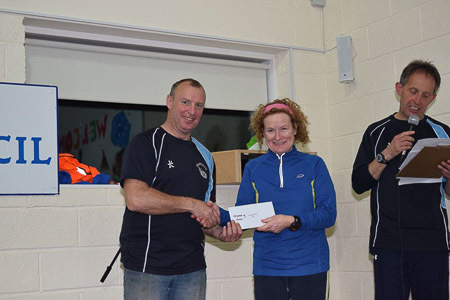 Out of a huge field of 1010 runners, approximately 480 of them were women and our very own Deirdre Nagle was the 2nd woman home in a time of 24:33. 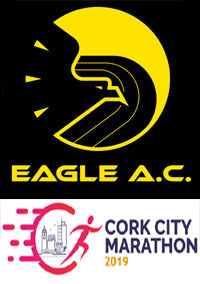 Another busy weekend with Eagle AC members taking part in races at home and abroad. 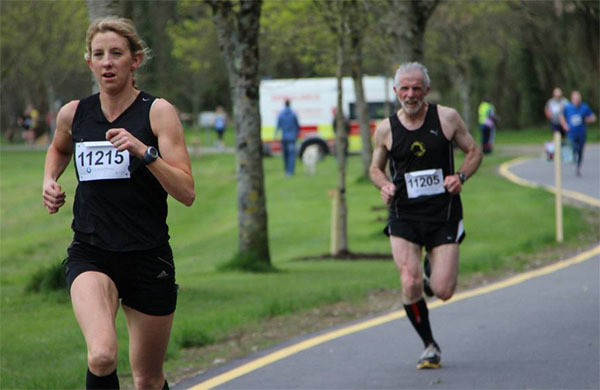 Ballincollig Park 5km…Eagle had podium finishes in both male and female categories last Sunday 13th of Apil in the Ballincollig Park 5km. 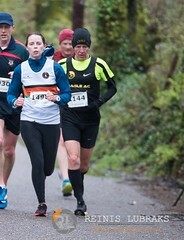 Alan O’ Brien was second man home in a time of 16:53 while Annmarie Power was third lady in a time of 19:26. 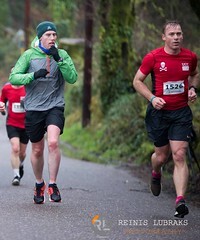 After the highs of doing my first marathon in Dublin last year, I got a brain wave to go and do another one in the spring. I saw that the Greater Manchester Marathon was on in April and it was advertised as ‘the flattest, fastest and friendliest marathon in the UK’. That sounded great so off I went and booked it in early December. Initially it seemed as if no-one from the club was going so I persuaded a friend of mine Maurice Feehan from home to come along so I wouldn’t be on my own. 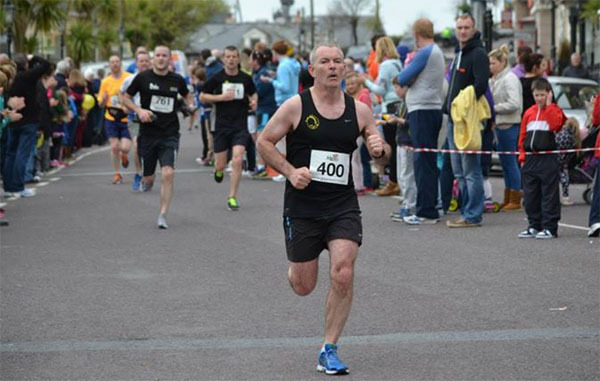 I started training in late December under the guidance of John Desmond and my ever reliable running partner Elaine Guinane and before I knew it, it was the start of April and the race was here and I was feeling fit. I met Kevin Sievewright and his wife Fleur Dixon at the airport and I knew that Helena Power was going so Eagle AC was going to be well represented. When we landed we went straight to Old Trafford to get our numbers and we were a bit disappointed that we had to queue up in the rain and that there was no expo. We then made our way to our hotel in Media City which is about 10mins walk from Old Trafford. We spent a bit of the day in the Lowry shopping centre and got an early night for the day after. At the start line I sat in behind the 3:30 pacers and noticed that there were very few running with club colours and that most people were running for some kind charity. Nobody was chatty, maybe they were as nervous as me? Ron Hill was introduced to the crowd and he started the race and we were off at 9am. Overall the route was a very flat, fast route with the only real climb coming just before the half way mark with a 60ft climb over a mile that you ran back down when you turned around. 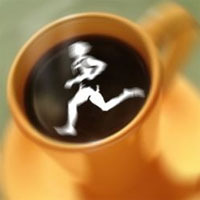 The route map can be seen here http://www.mapmyfitness.com/routes/fullscreen/111929753/. The race was won by Andi Jones who finished in 2 hours 17mins and Emily Wicks was the first female to cross the line at 2 hours 38mins. I got to within a couple of feet of these athletes during the race when I was going through mile 9-10 but they were on the other side of the road at the 16 mile mark and they were going at some speed and well out in front of the competition. 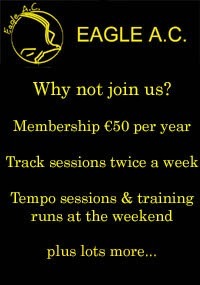 I would definitely recommend this race if you want a marathon PB and the support on the course is very similar to Dublin. The only negative I would have against it are the two sharp turn around points that are in the first three miles. One of the turns was a cone in the middle of the road and the race was over for some people as they were tripped with the crowd. That would be the only thing really. 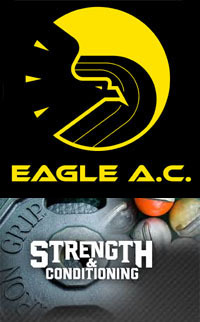 It was a busy weekend for some members of Eagle AC as they traveled for events abroad and up the country. 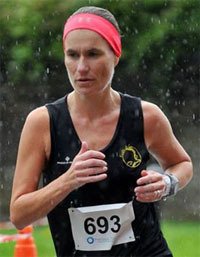 Sun 6th Apr…In the 39.3 mile Connemara Ultra-Marathon, Ita Kirwan and Linda Cussen completed the distance in an impressive 6:08:09 and 6:12:59 respectively. 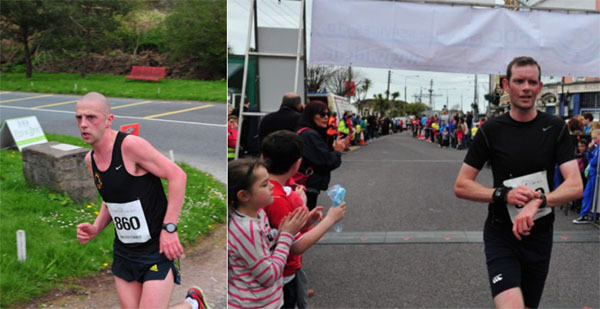 In the Half-Marathon, Donal McGrath ran 1:51:58 while Jane McGrath ran 2:01:16. 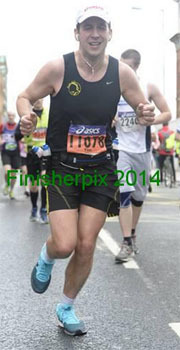 Sun 6th Apr…A small number of Eagle members traveled to this years Manchester Marathon. 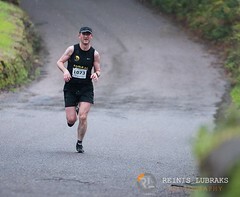 Tim McCarthy had a tough one but managed to hang in there to finish in 3:48:35 for his second marathon. Husband and wife team Kevin Sievewright and Fleur Dixon finished in 4:21:02 and 4:21:01 respectively. 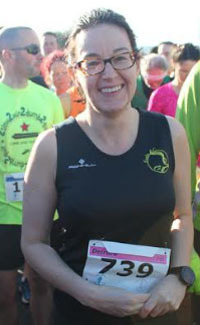 In the marathon relay event, Helena Power of Eagle AC was one half of a team called Power-Manning. After running a half marathon each, they were the first women’s relay team home in a time of 3:02:01!